We knew this ignorant Whiner-In-Chief egomaniac and possible Putin Pulcinella was bad news, but oh boy… he’s a disastrous man-child leaving a massive swath of broken toys in his wake. It started even before his first working day as our Orange Leader when his transition demolition team demanded the names of all federal employees in the Energy Department who had studied or written about global warming, or had taken part in mere “climate talks.” And less than an hour after being sworn in, redecorated the official White House website with his plan to frack and drill the National Parks and all other federal (public) lands. 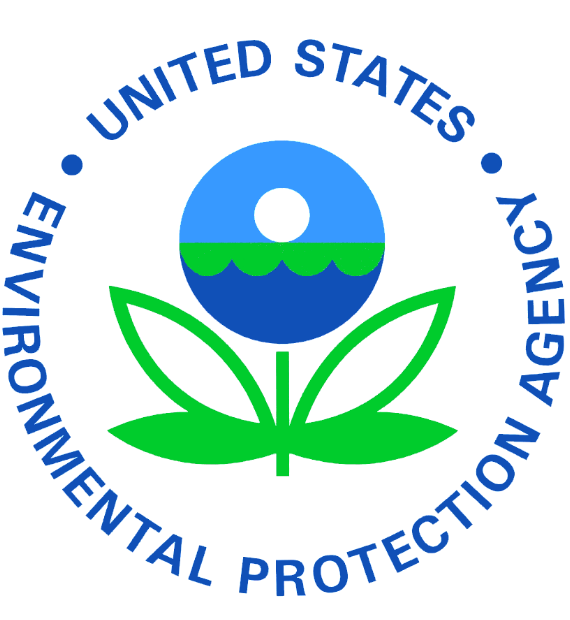 A few days after that, and in the wake of his obsession with crowd size, “Little Hands” ordered the National Park Service and the EPA to cease all dissemination of research information to the public, put a “presidential gag order” on all social media accounts of said employees (both official and personal pages), and halted all projects, grants and contracts involving the EPA – including all Superfund clean-up plans (such as preventing and filtering out poisons like lead and methyl-mercury from water sources used by people and animals and crops). A disgusting, groveling, step-and-fetch-it shuffle if there ever was one. Er, yes, in fact we do, Elon. Officials at the Department of Energy told the Trump gang to stick it, that they patently refuse to “name names” of colleagues who had taken part in international climate talks. And by the way, the subject is of great concern to that department since global warming has been named by the Pentagon as one of the biggest security risks the nation faces. 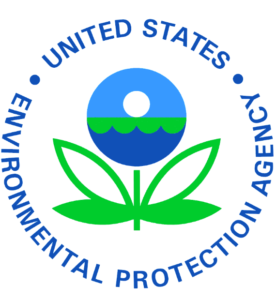 Just as frightening, the Energy Department is also the agency that is in charge of our nuclear arsenal. We are also sure Trump and his surrounding umpa lumpas, like Energy Secretary-to-be bozo Rick Perry, had no inkling of that fact. The Trump press machine eventually backed off, and said the “mandate” had not gone through “official” Administrative protocol. Yeah, right. Then another lone voice of resistance in the wilderness, an employee of the Badlands National Park in South Dakota, started tweeting out “factoids” about global warming, in defiance of the Trump gag order. 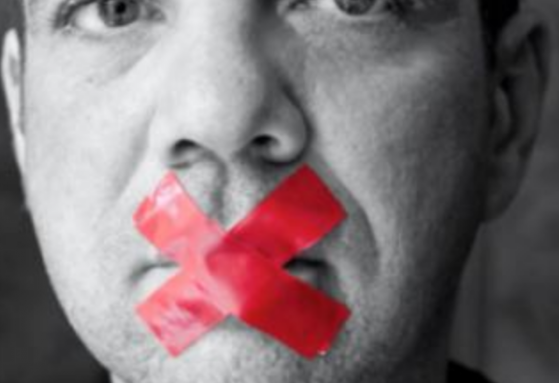 Then, after an onslaught of public outrage over the gag “orders,” the USDA itself lifted its own silencing. Soon after, the National Parks followed suit. 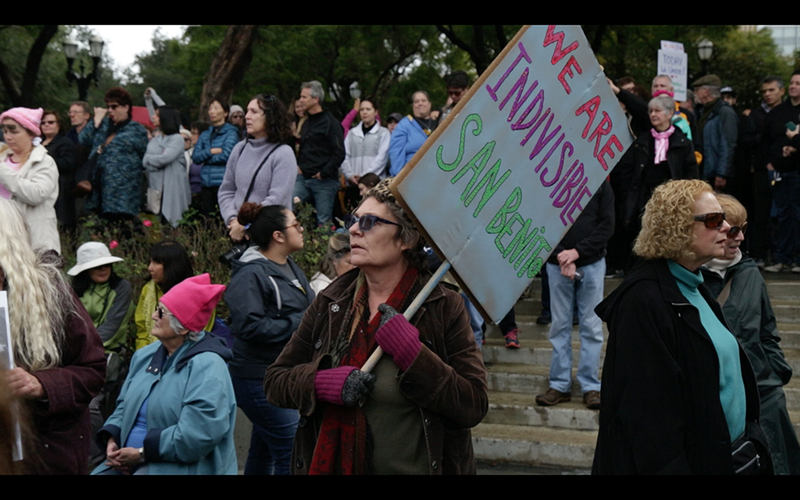 And we all know what happened last Saturday across this nation, indeed the globe: millions of people participated in the Women’s March protesting President Cheeto’s inauguration. Considering his notoriously thin, burnt sienna skin, we know that was more than a burr under his saddle. 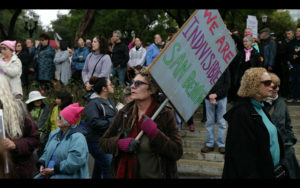 The folks who started the “Unofficial Resistance Team of NASA,” started the cause when their friends, NASA scientists, were bemoaning what to do to save their scientific research – not to mention their very jobs. As a result, all science-lovers or like-minded souls are encouraged to help them archive the employees’ work before it is taken down and erased forever. It involves installing the Wayback Machine Chrome Extension in your PC, and all the instructions are given in the article. Let’s save our knowledge. It belongs to the people, anyway. 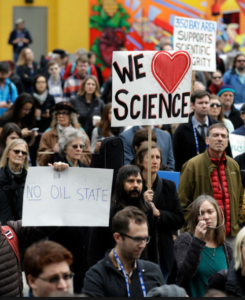 In response to Trump’s assaults on science and fact-fueled U.S. agencies, organizers pushing back are planning a worldwide March for Science in, er, March. Much like the gargantuan Women’s March last week, a group of scientists and science aficionados have seen their idea take off exponentially around the globe. It started as a simple discussion on how to repel against Trump’s anti-science moves, and when they decided to propose a March for Science, within 24 hours the group’s Twitter account had gained an additional 124,000 followers. The group’s new Faceybook page suddenly gained half a million followers. 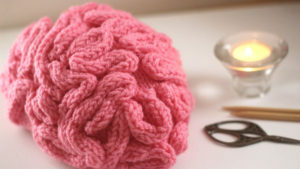 Like the Women’s gatherings earlier this month, organizers are suggesting participants wear pink knit caps – but instead of the pussycat-ears motif, they have come up with a pink “brain” design. Seriously. 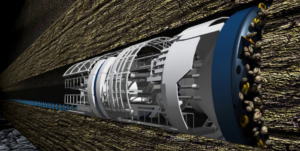 Elon Musk of Space X and Tesla electric luxury cars, now presumably science and space adviser to the Cheeto in Chief, says he plans to tunnel underground, presumably in Los Angeles, because he hates the above-ground traffic. No, he has not applied for any permits from the State Department of Transportation yet, but it’s just the type of big ticket item “Moonshot Musk” would attempt. 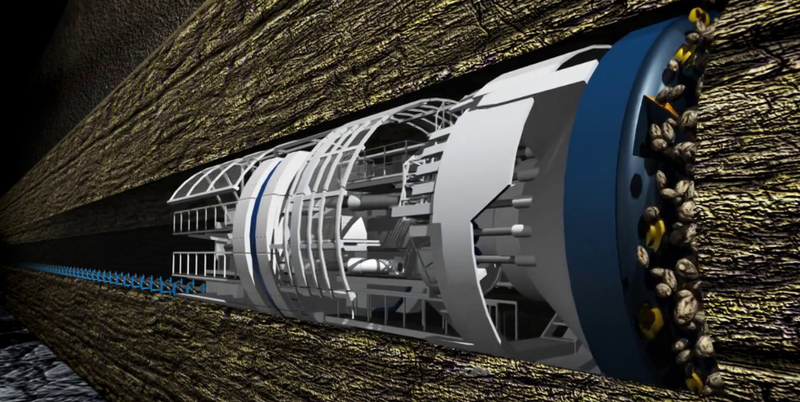 The company is called The Boring Company, and its quest would be to make an underground subway of sorts. He’s not giving any details, so we don’t know if mag-lev or bullet trains are involved, or even if it would be his own private “person mover.” Details, or lack of, in The San Jose Mercury News. Ground-breaking to start in the springtime. Hmmmmm. According to new research led by Nobel laureate Adam Riess, the Universe is expanding even faster than speeds measured by the European Space Agency Planck Satellite Mission in 2015. Comparing gravitational lensing from distant quasars such as RXJ1131-1231, Riess’ scientific team has pegged the speed that our Universe is flying apart (called the Hubble Constant) at 44.7 miles per second per megaparsec. 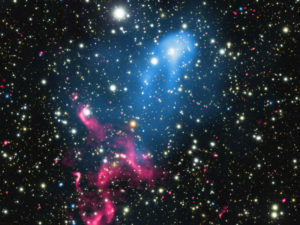 (A megaparsec is about 3.26 million light-years.) That’s ratcheted up from the previous estimate of 41.6 miles per second per megaparsec. 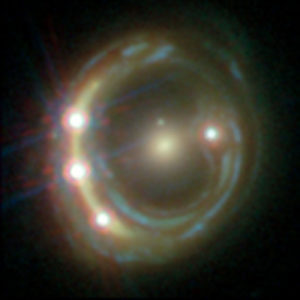 Gravitational lensing is the phenomenon created when nearby galaxies warp light coming in from distant objects such as bright galactic core remnants known as quasars. Fittingly, images from the Hubble Space Telescope, along with imagery from the Spitzer Space Telescope and some ground-based instruments, all contributed to this new discovery. As astrophysicist Neil Degrasse Tyson said in his Inexplicable Universe series, it’s a good thing we are studying what we can see now, because we won’t be able to see it when the Big Rip leaves us seemingly and utterly alone in the Universe – with nothing to look at but images of Donald Trump lying on TV. 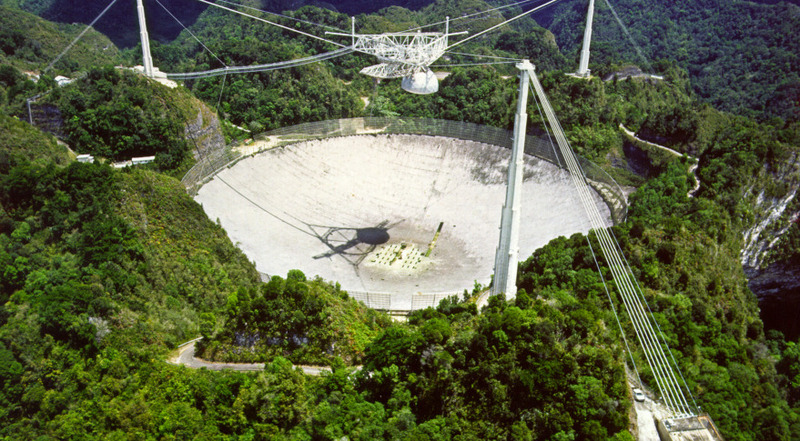 It’s no surprise to us that the National Science Foundation just put out a call for proposed partnerships to shoulder the costs of running the Arecibo Observatory in Puerto Rico. The giant Arecibo costs about $8 million a year to maintain and run, and the NSF wants to whittle that down to $2 million. Established in the early 60’s, the Arecibo was used by the Search for Extraterrestrial Intelligence (SETI) for decades, but the signal seekers now have facilities they use around the globe, not to mention their own array now in Hat Creek, CA. The NSF has no doubt seen the cuts and gag orders coming down the pike, straight towards them, from the Whiner-In-Chief’s Administration. Proposals to the NSF are due in late April. 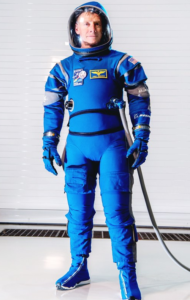 Looks like astronauts will be sporting a sleeker, more 21st-centuryish look in the not-so distant future following Boeing’s unveiling of a line of lighter and more comfortable spacesuits for its Starlliner spacecraft. If all goes as planned International space station crews will begin traveling to low-Earth-orbit in August 2018 sporting a ready-wear ensemble more reminiscent of 2001: A Space Odyssey than Apollo 13. The fully-accessorized astro-garb, complete with an integrated shoe, weighs about 20 pounds – 10 pounds lighter than last season’s model worn by space shuttle crews. 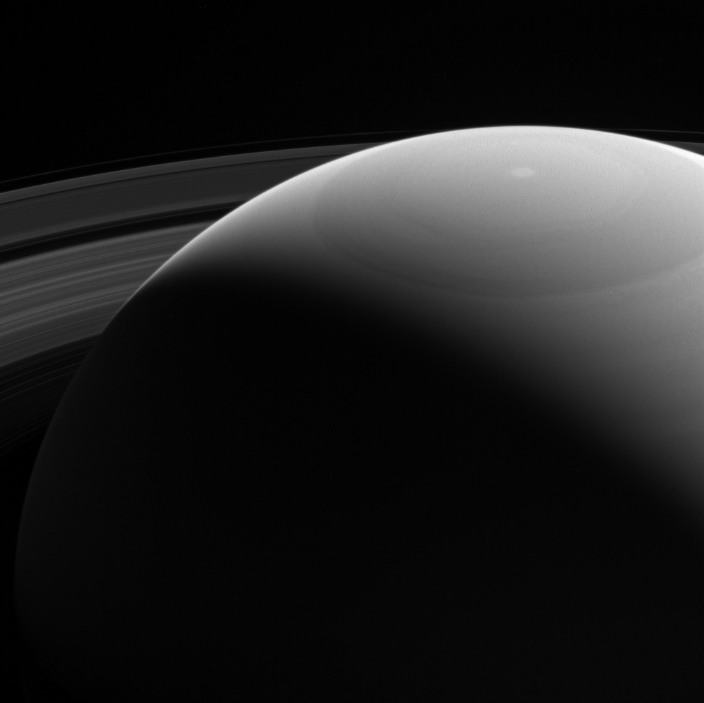 Cassini’s newest, stunning portrait of Saturn taken as the 20-year-old probe makes it final series of swan-dives throughout the planet’s ring systems, before it’s sacrificed to the old god Cronus on September 15 this year. It’s official. 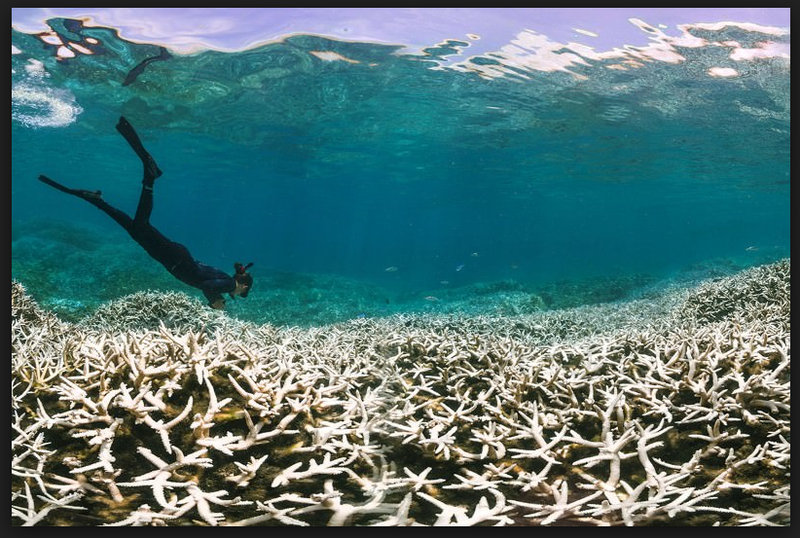 Trump is attempting to trash all the research and science about the environment that you, as a taxpayer, already paid for. 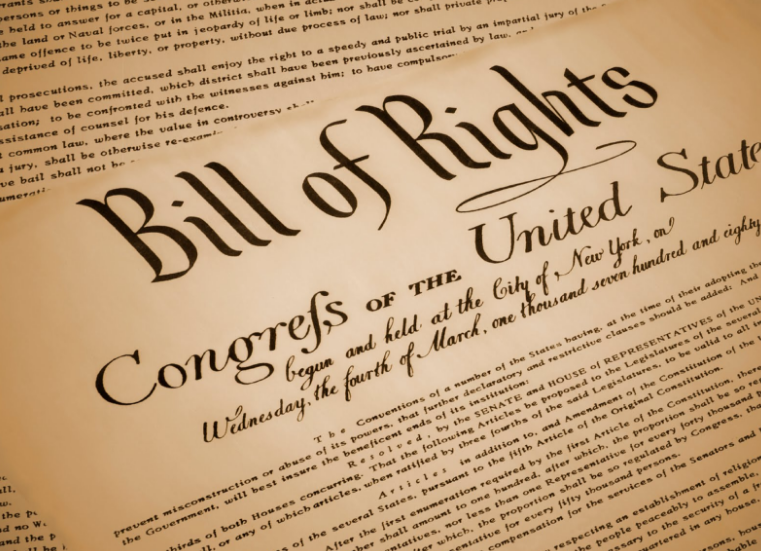 We hate to creep you out so early in this new political era, but when Forbes Magazine – of all the sources one could not imagine – comes out with an article like this, you know we aren’t just bending your progressive ear. As the next story clearly spells out, Trump is revving up for an environmental winter like no other. 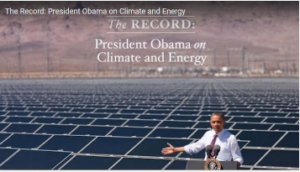 Barack Obama’s record on fighting climate change can now be found at www.obama.org. 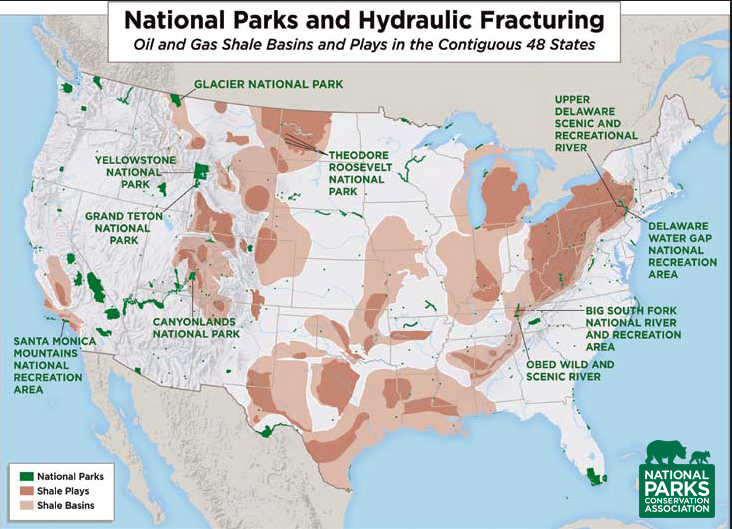 Trump’s new plan for abolishing drilling and mining regulations, and opening public lands and national parks to the pillages of oil extraction has scientists in a frantic rush to copy their data and discoveries before the new Administration purges it forever, according to Forbes. 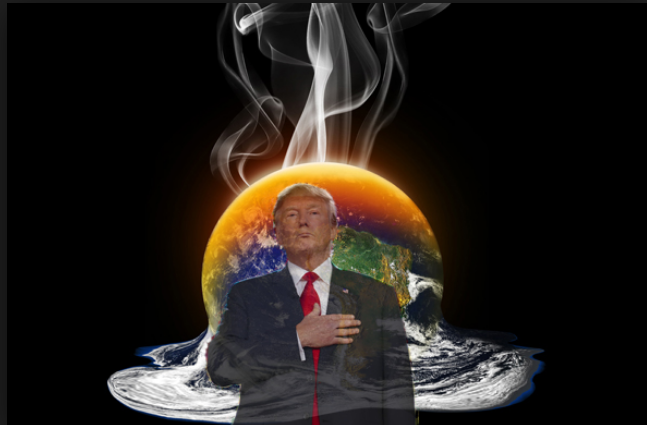 Up until January 21, the actual web address where Trump published his new “plan” was where the Obama Administration published news about the worlds’ actions to combat global warming. Since the election, scientists everywhere have been hastily copying data off government sites in anticipation of what just happened to the official site on global warming, in the hope of not losing it into the ether of deletion, according to the Forbes article by Dr. James Conca. 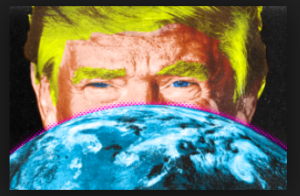 Conca – a geochemist, an energy expert, an authority on dirty bombs, and a planetary geologist – makes a number of ironic points in this frightening but matter-of-fact editorial. 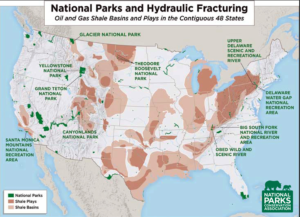 First, that the idea of grabbing more oil and resources from our pristine national parks does not make any economic sense: “This is weird: Energy in America is the cheapest it’s ever been in our history, and it’s unlikely to get much cheaper without hurting our own oil and gas companies. There is a price below which you can’t make money.” Conca then reminds us that we hardly rely on Saudi Arabia for any oil, at this point; we import less oil than any time since the 1970s, and what’s imported is from Canada. 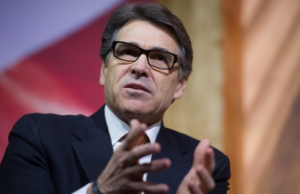 Clueless Rick Perry: Didn’t know he was being tapped to head an agency he couldn’t remember the name of in 2011. “Trillions of dollars have been spent since WWII to create America’s scientific and engineering communities. It won the Cold War. It’s given us the most powerful military in history. It’s why other scientists want to come to America. 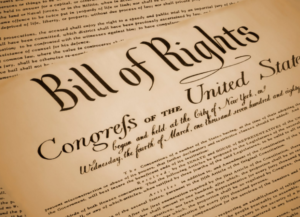 It made us the greatest nation on Earth. 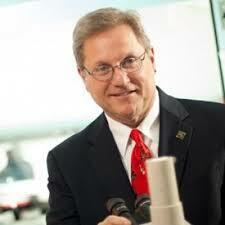 But a strong and independent scientific community is necessary to remain the greatest nation on Earth,” writes Conca. 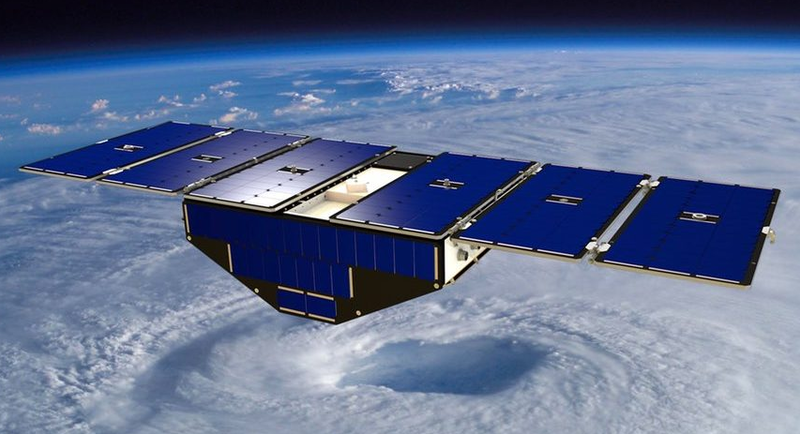 He also reminds us that studying the data from earth monitoring weather satellites is allowing us to save lives in the extreme, yet more common, events of Polar Vortex, hurricanes, tornadoes, etc. that cause power outages, and worse, across the country. 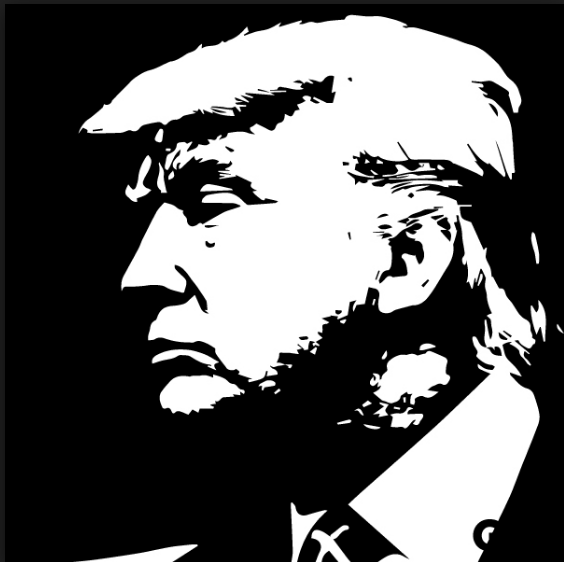 The Trump Administration wasted no time last Friday installing its new White House website content that not surprisingly boasts the puppet-in-chief’s campaign promises that involve a radical U-turn in America’s energy policies, including the following: “eliminating harmful and unnecessary policies such as the Climate Action Plan and the Waters of the U.S. rule;” tapping shale, oil, and natural gas reserves “especially those on federal lands that the American people own (the proceeds of which is where he’s going to rebuild U.S. roads, bridges, etc);” and “reviving America’s coal industry.” Oh yes, Trump is also placing a “high priority” to “protecting clean air and clean water” and preserving the country’s “natural reserves and resources,” or what’s left of them after we’ve chemically jackhammered the “$50 trillion” in virgin fossil fuels from their bruised and battered landscapes. As he attempts to wipe out all the great leaps forward that Barack Obama made for this nation, Trump might be foiled in any attempt to delete this one. Last Thursday, the day before the “coronation” of the would-be king who lost the popular election, the Mars rover Curiosity (that is, its JPL handlers) “tweeted” out a photo of Obama’s signature, affixed to a plaque made of anodized aluminum that is bolted to the rover’s deck. 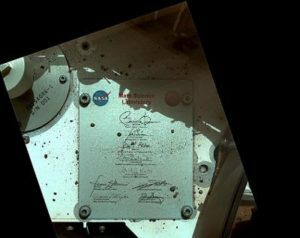 The photo was taken with the rover’s Mars Hands Lens Imager as it celebrated it’s 44th “Martian” day on the Red Planet. Curiosity landed on Mars in 2004 and is still roaming away far beyond its life expectancy. Obama, in response to the photo, tweeted back, “This is out of this world. 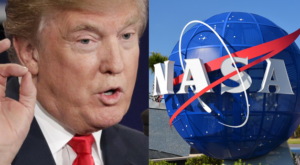 Thanks, @nasa.” Judging from all the other actions Trump has taken to undermine Obama’s legacy, we know if the current Moron-in-Chief had his way, he would no doubt waste millions on a space mission to put his Trumpian trademark in gold-colored crayon smudged over the former president’s signature. 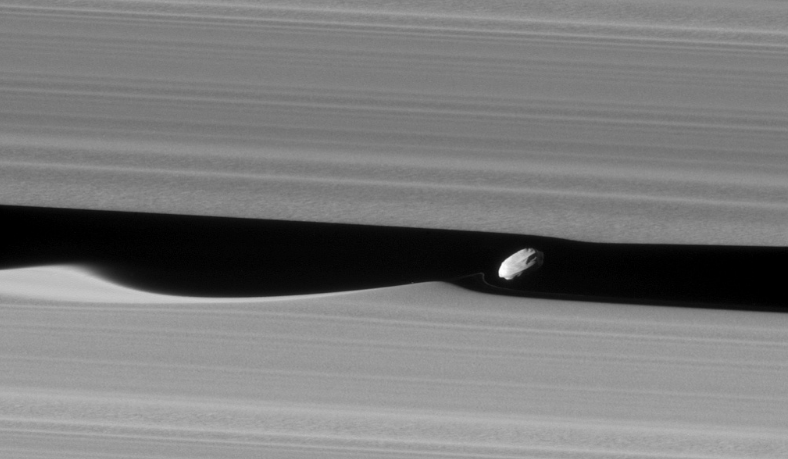 NASA’s Cassini spacecraft sailed through the outer edges of Saturn’s rings last week, producing this stunning pix of the tiny Daphnis moon squidged between the 26-mile wide Keeler Gap. 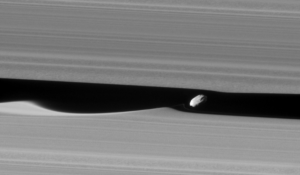 Known as “wavemaker” satellite, the 5-mile diameter Daphnis produces a disturbance in the usual sharp edges of the ring layers as it surfs the ice and dust particles that make up Saturn’s signature feature (note left-hand side of the photograph). The snapshot was taken just 17,000 miles from the previously un-portraited world. 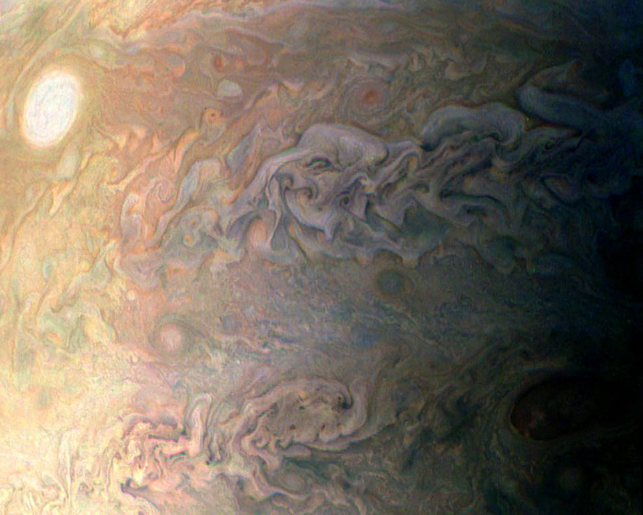 Amateur-processed pix taken of Jupiter on December 11, 2016. For the first time the average Jane and Joe will be able to take part in NASA’s choice on what its Jupiter-orbiting Juno spacecraft will photograph during the probe’s February 2 close flyby of the Gas Giant. NASA’s JunoCam website can be accessed here, and you can visit the flyby voting page here. Cast your votes now before polling closes at noon EST tomorrow! 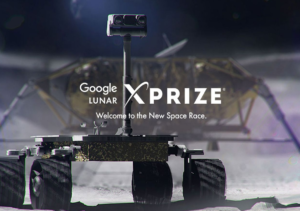 According to the space agency, the voting page will highlight points of interest that will come within the “JunoCam’s” field of view, including a narrow swath from the planet’s north to south poles. Raw images of the people’s pix will be posted where “citizen scientists” can perform their unique photo creations. And if you miss this tomorrow’s deadline, no need to worry – there will be a new round of ballots for each upcoming Juno flyby. Cosmic Id: Metal-enriched Psyche could be a real draw for Trump administration. There’s been a lot of chatter this past week about the actual worth of Psyche, the metal asteroid that NASA has targeted for a 2030 spacecraft visit, and which scientists believe is the leftover core of a dwarf planet that was stripped away of its rock, dirt and atmosphere eons ago The 200-km-wide chunk of bling has enough iron, nickel, gold and other precious metals that, if ever high-graded successfully, are worth $73.7 trillion and would surpass the worth of – and collapse – Earth’s global economy. The iron content alone of the metal blob is estimated to be worth $10,000 quadrillion. We can easily see our new Predator-in-Chief drooling over such a prize and suddenly acquiring an insatiable interest in asteroid science. Don’t say we didn’t warn you! 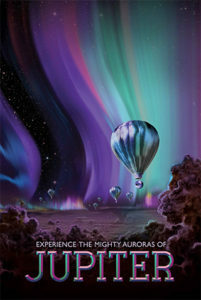 Click here to view A Colorful “Landing” and Pluto. 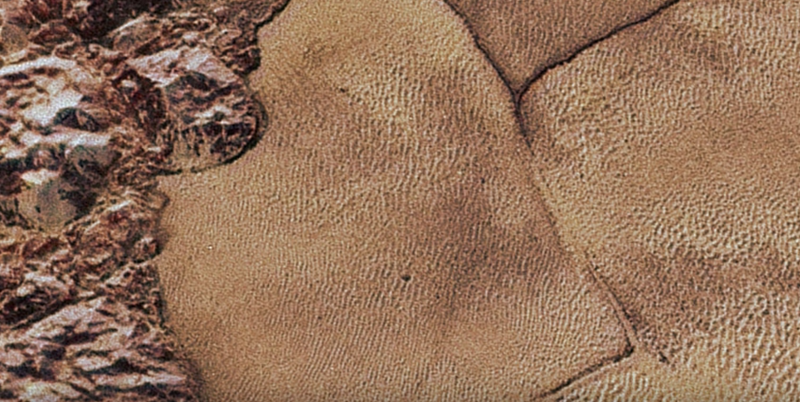 We’re just now getting the tail end of all the images that New Horizons snapped of Pluto, and they are eye-opening to say the least. NASA is so excited about the photos that they took 100 of them, and through the magic of visual technology, managed to make a film about what it would be like to go to the dwarf planet, 3 billion miles and nine and a half years (even for the super-fast New Horizons) away. 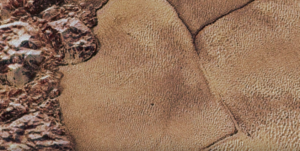 The opening scene is a distant view of Pluto and its moon Charon as the “craft” zooms in and appears to land in Pluto’s “shoreline” of Sputnik Planitia. In reality, the closest New Horizons got to the surface was 7,800 miles above it. NASA, we have a problem. 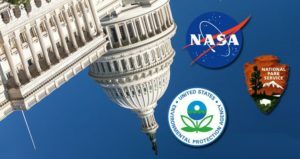 While Earth scientists and climatologists are ducking for cover over the incoming White House Administration’s threats to cut any science connected to “that global warming hoax,” there’s another space issue in this political quagmire that only those involved seem to know about. And this one concerns our ability, as a nation, to get to Mars and beyond. 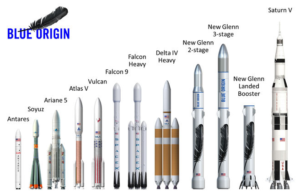 For years now, NASA has been working on a very BIG project called the Space Launch System (SLS), the new generation of rocket that will enable us to go beyond the capabilities of Apollo’s Saturn V and take us to Mars. 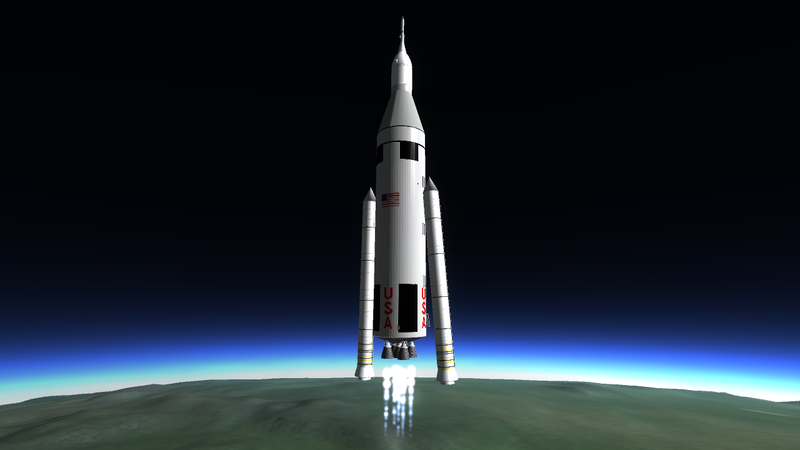 Recent tests of the SLS boosters have been spectacularly successful. But it has been hard-fought getting that far, namely because of the DC food fight over this program. 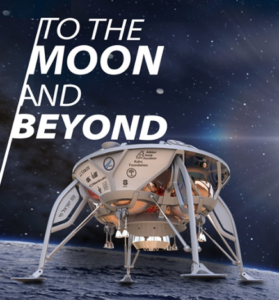 The SLS cost $19 billion in 2016 and is projected at $18 billion in 2017. 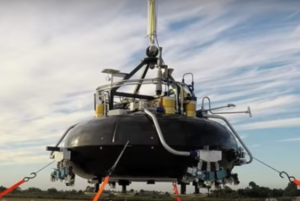 When it is ready to rumble, it will cost $500M to $700M for each launch. Opponents of the SLS often refer to it as the “Senate” Launch System, since it is beloved – despite its big-ticket price tag – by the old white shriveled guard of political conservatism that has gerrymandered its way to permanence in Washington. 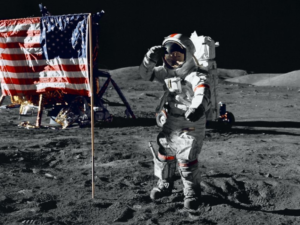 These old white men entertain fond memories of dementia when it comes to the Apollo era, picturing themselves golfing on the Moon like Neil Armstrong in one-sixth the gravity of Earth, jumping up and down on the lunar surface, dog-piling in cosmic dust, clubbing socialists and tree-huggers in space, etc. 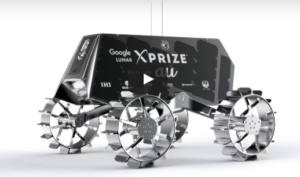 But the new, younger, political turks of space exploration embrace the daring entrepreneurial new-comers — Space X, Blue Origins, Sierra Nevada Corp.– as the capitalist saviors of our quest to reach the stars. Some of them believe the SLS is already a white elephant. The old demented white men that will make the ultimate decisions, however, are so accustomed to aerospace giants and longtime NASA rocket contractors like Lockheed and Boeing twisting their testes that they could hardly guess what life would be like without that oh so sweet pain. They hate change…especially when it comes to someone else messing with their withered cajones. So as the goose-stepping Trump “transition” goons close in, they have created what they putridly call “landing teams” to encroach on NASA and other scientifically-oriented federal organizations, in order to get whoever is still standing in the department to “get their minds straight.” These transition teamers’ lack of any basic scientific knowledge is, reportedly, horrifying to the scientists who didn’t get out of the buildings in time. What is the stand of Galactic Sandbox? GS Publisher/Editor Agnett Bonwitt and I agree when it comes to space exploration: bringing massive pools of brainiacs together to resolve a scientific goal in a big project – be it government-backed or private – is a proven way of accomplishing beyond what we expect; and... when there is a need, the free market is king at inventing a viable solution. Yeah, we want it all. 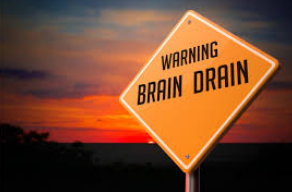 We want this country to invest in getting our hapless mortal coils off the crust of Earth as long as Republican lawgivers insist on sullying this sandbox with their lethal pollution – and then denying it! — and we want to encourage private companies to get in the act as well. And now for the Big Deal of the Week! (♫ Old-timey Wurlitzer organ fanfare ♫) And … it’s NOT a big deal. We don’t even know why we are reporting on this, when we all knew successful Falcon 9 rocket launches AND landings would be routine. 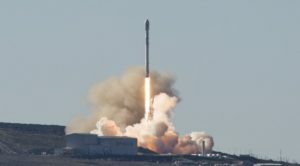 OK, so after the big fuel-explosion boo-boo on the Cape Canaveral launchpad last fall, Space X has once again soared to victory on Saturday with another fabulous Falcon 9 rocket liftoff, placing a 10-pack of Iriidium comsats into polar orbit, and then, 14 minutes later, landing the first stage on a garbage barge off the California coast. Clappity clap clap clap Sigh. September 2016 explosion of Falcon-9 rocket on Cape Canaveral launchpad. SpaceX’s president has been deposed last week in a lawsuit filed by an employee fired in 2014 who warned company officials of potential safety issues. 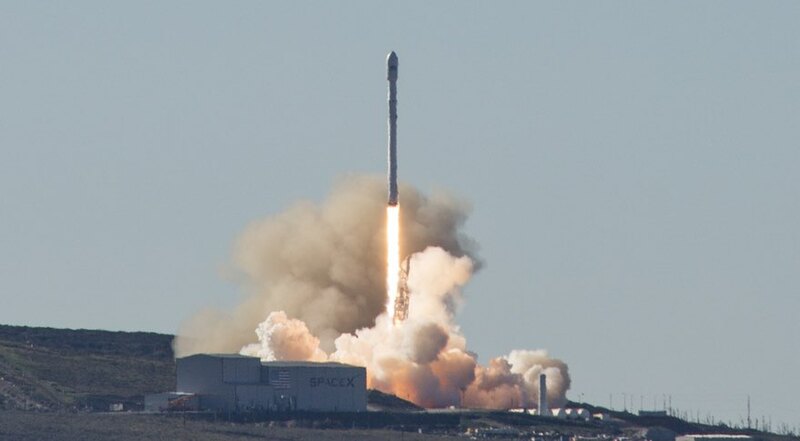 On the other hand, the REAL news is that SpaceX’s president Gwynne Shotwell (Yes, we are not making this name up) has been ordered by a Los Angeles Superior Court Judge to attend a deposition in the case of an ex-employee who was canned after blowing the whistle on managers for “allegedly pressuring technicians to ignore risks of explosions and approve tests of rocket parts”, according to The Daily Breeze. 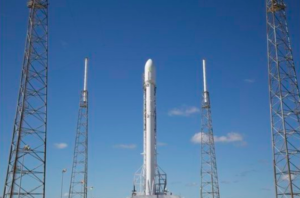 Former SpaceX’er Jason Blasdell, who worked as an avionics test technician at the company’s Hawthorne CA manufacturing plant from 2010 until his 2014 firing, says in his lawsuit filed last April that he received consistently positive performance reviews until he began noticing safety procedure issues that led him to question the risks these posed to not only the rockets but to human life as well. 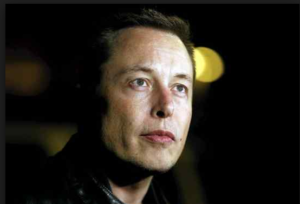 Despite presenting his concerns to Shotwell as well as founder Elon Musk and the company’s human resources department, Blasdell was eventually dismissed for being “disruptive” in his manner of following up with management regarding his original worries. Obviously, we can rush to judgement, however it wouldn’t surprise us if this isn’t the last we hear of this potentially “explosive” story. Conspiracy Tin Foil Hatters are all atwitter over the new close-up snapshot the soon-to-be-crashed Cassini space probe just took of Saturn’s weird moon Mimas. 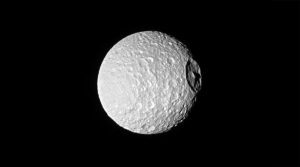 The spooky Saturnian satellite looks like the Star Wars “death star” because of the seemingly perfect crown it sports on its side, which makes Mimas resemble the spherical headquarters of the villains of said movie. Just so you know, it’s actually called the Herschel Crater, and the planet-mark was blown into that world by an asteroid who-knows-how-long ago. As for the rest of the moon Mimas, it looks almost deader than our own. 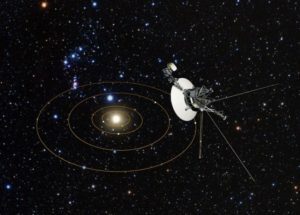 We have all heard about how the Voyager spacecraft (both of them) are still plugging away and zooming out toward interstellar space, how they are still sending back faint signals and how they will very likely be Earth’s first “messages in bottles” for any sticky-fingered extraterrestrial to grab and misinterpret. The Hubble Scope has been observing the far-flung gizmos, and for those who would rather delay our announcement about existing in this galactic sandbox until we can at least boast a human with a brain as the leader of the U.S., things are looking up. While the Voyagers are plowing 38,000 miles per hour through space, Voyager 2 won’t get out of the interstellar cloud surrounding the Sun’s total orbit – and we’re talking way past the icy, chunky Oort Cloud – for another several thousand years. Pheeew. Talk about mortifyingly close. The Moon, scientists have just announced, is a lot older than we thought, saying it’s 4.51 billion years old, created just 60 million years after the solar system started forming. 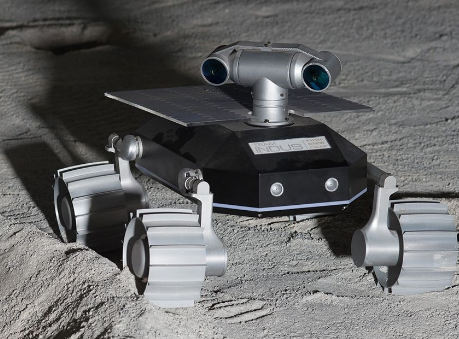 The previous age of our lunar child, scientists believed until now, was 4.3 billion years, but that theory was blown to bits by a crew led by Melanie Barboni, a researcher in UCLA’s Earth, Planetary, and Space Sciences Department, who had the “audacity” to come to a different conclusion after reexamining the Apollo moon rocks. Barboni realized that the samples brought back to Earth were a jumble of relatively recent asteroid-hits themselves, so she instead studied the Moon’s mantel and overlying crust. Well, as Agnett is babbling at me right now, it takes a woman to point out the obvious! 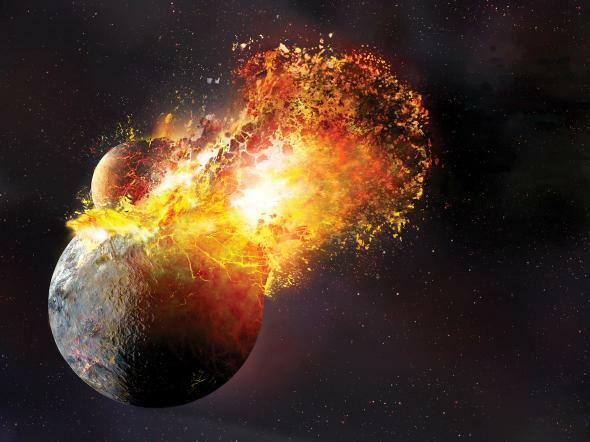 Lest we forget, a Mars-sized planet called Theia ripped the young Earth a new one, yes, 4.51 billion years ago (as it stands now), and the debris it shot up from the Earth combined with Theia’s obliteration created the Moon. Got it? 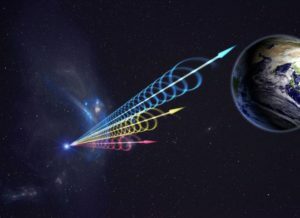 Since 2007, astronomers have been flummoxed by a newly discovered galactic critter known as the Fast Radio Burst coming in from deep space. Until now the origins of these bursts (only 18 have been detected) have been hard to pinpoint, until they found FRB 121101; it repeated! 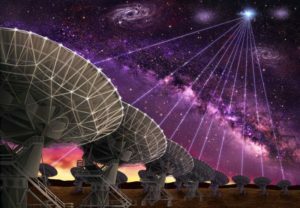 So sharp-thinking Cornell astronomer Shami Chatterjee used the Very Large Array of radio telescopes in Socorro, NM, to lay a trap for this unique FRB and, after a decade of waiting, has pinpointed the neighborhood where it emanates from: a galaxy far far away, one in fact that is outside our Milky Way, 3 billion light-years from Earth, and one considered a “dwarf galaxy.” Among the possibilities that cause FBRs, magnetars are good candidates. They are very dense, bright neutron stars that have intense magnetic fields. Or a spewing black hole could be the culprit. Sorry folks. None of these astronomers have mentioned the possibility of an advanced civilization trying to signal us. 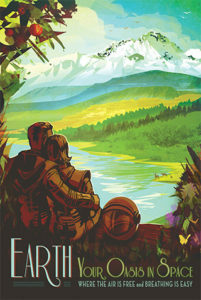 The Jet Propulsion Lab just published a new cornucopia of incredible art posters for the public. Obviously, this is a NASA project to get people mesmerized with the idea of living in a different world and supporting space exploration. Guess what? It’s working! Especially for those of us who want to stop this Merry-Go-Round and get the hell off this planet, soon to be named “Trump Empire.” Check out ALL the art pieces, created by visual futurist Carmen Moreno. 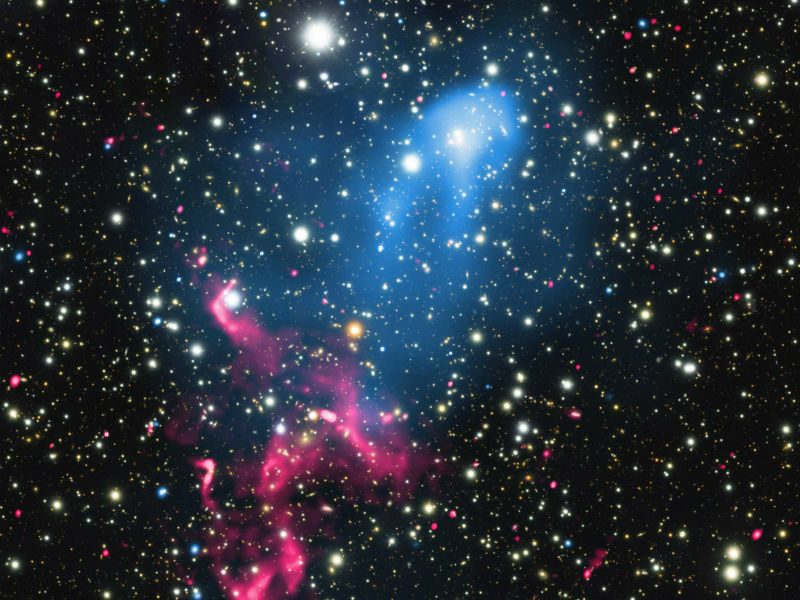 NASA’s Chandra X-Ray Observatory (in India) has captured a cosmic bonanza: it snapped a super-massive black hole colliding with an already colliding mass of galaxy clusters. Yes, that’s plural. This new image, along with data collected by the Very Large Array in New Mexico, has determined that the black hole under scrutiny started growing over billions of years before the Big Bang. Don’t worry. We’re scratching our heads too. Finally, as we are acutely aware of the collective “malaise” that has shrouded our national psyche since the election, we would like to part on an upbeat note. 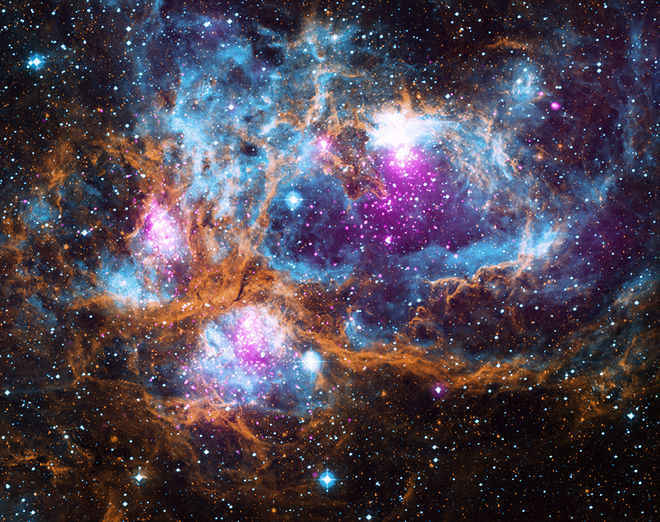 In late December, astronomers put together a gorgeous picture they call “Winter Wonderland” by fusing together images taken from NASA’s Chandra X-ray Space Telescope and the Spitzer Space Telescope, with snapshots taken from 2004 through 2016. It is actually the famous cloud of gas and dust, NGC 6357, known as the War and Peace Nebula. (Humans who look at this nebula – a star cluster of young star clusters – think they see a human skull on one side of the nebula and a dove on the other. Whatever.) But the resulting “art piece” called Winter Wonderland is truly astounding, full of wintry neon blue, purple and gold colors. NGC 6357 is 5,500 light-years away from us, in the Scorpius Constellation. Another zowy photo was taken by NASA’s Mars Reconnaissance Orbiter, and we don’t really understand why it took a year for this photo to make it to the public. 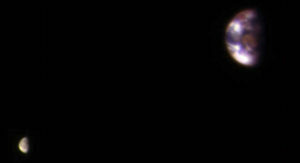 Nonetheless it’s a stunner of Earth and our Moon taken from the Red Planet’s orbit. 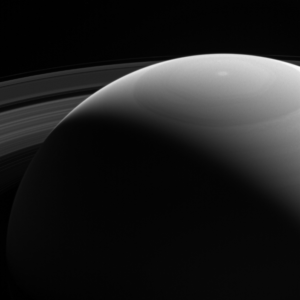 The orbiter’s High Resolution Imaging Science Experiment on board is the instrument that made this one possible. We’re baaaa-ack! Agnett and I had to take a much needed break to wash last year’s Putin-hacked, absurd and stolen election out of our hair. Just looking at any news sources and the contorted somersaults being committed by “journalists” straining to normalize billionaire and Moron-In-Chief Donald Trump was too much to bear. 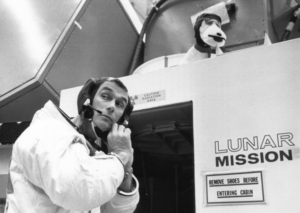 But here we are, and our job is to tell you the truth about current outer space endeavors – a subject which seems far beyond the comprehensive abilities of the incoming faux Administration. There are mostly reports about scientists, particularly federally-employed scientists at NASA and especially NOAA (sister arm of NASA’s climate and Earth monitoring division), going ape, wondering if they will have a job to go to later this month. Trump’s picks to head vital departments like the EPA, as we have reported, are horrifying climate deniers. After that hideous “election,” the jerk selected to head the NASA “transition team,” Robert Walker, announced that Trump intends to “unplug” all of NASA’s Earth monitoring programs, including research satellites. That’s showin’ those tree-hugging liberals! 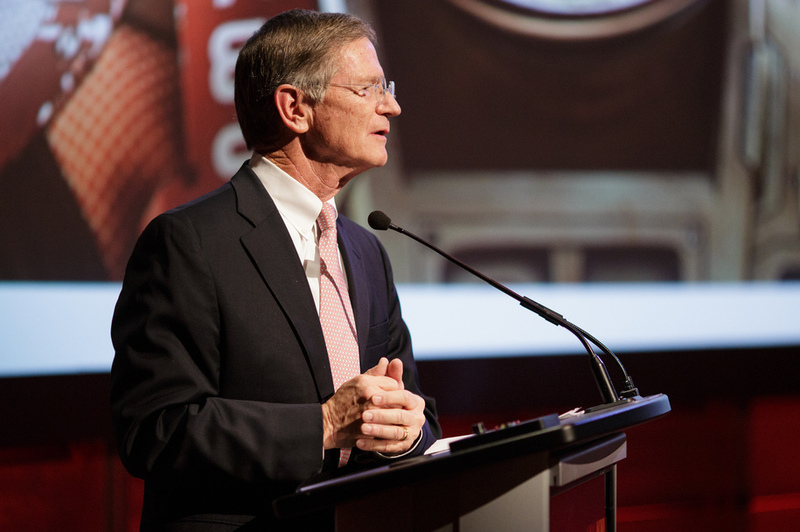 For the past month, Walker – along with infamous climate change-hater and tin foil hat mannequin model Rep. Lamar Smith (R-Hell) who also happens to be the gavel-banger of the House Committee on Space, Science and Tech – have been pushing the Breibart-fueled fake news stories about global warming “halting” in 2016. 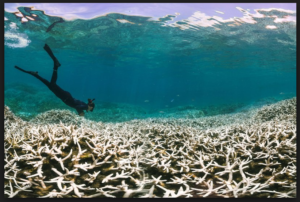 This week, scientists stepped up to the plate to put the final nail in that coffin by presenting data that overtly refutes the notion, once again showing the dumb-effs easy-to-get pretty pie charts of how 2016 has been the hottest year on record. Oh, did we mention the latest? The massive ice shelf in Antarctica known as Larsen C, it was reported on Friday, is on the verge of calving off and creating an iceberg the size of Delaware, 70 miles long. (NASA’s Earth Sciences division first reported on this in November.) 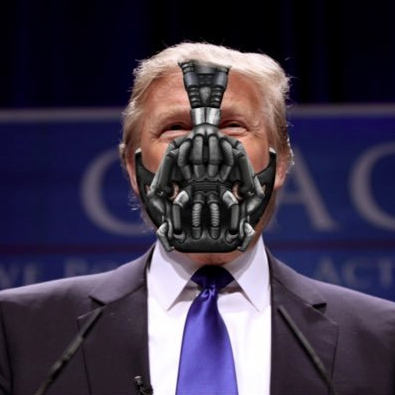 Now, we are being forewarned to keep our ears perked up for the Big Cracking, to happen any day now. 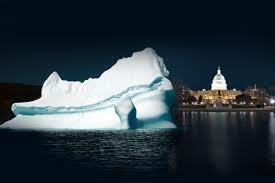 When it does, we hope and pray the behemoth iceberg makes its way north and floats into the Potomac River like a soulless blithe doomsday machine, and tears a new one into Washington DC – specifically, we’d like to see it hatchet Congress in two before it bumps off the White House (after Jan. 20), and melts – along with all the other idiotic anti-environmental vitriol pumped out by the right wing. And in case you missed it, Larsen C’s neighbor in Antarctica, former ice shelf Larsen B, dissolved in 2002. 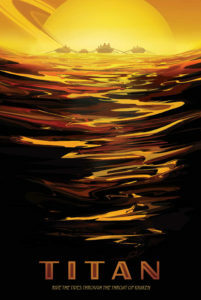 A portent of things to come! Meanwhile, a new study says we need a ten-fold jump in green technologies, like, right now – today — to halt global warming. Is it any wonder that NASA, NOAA and EPA earth scientists are feeling like Jews and Gypsies living in Berlin, 1937? NASA’s chief science adviser Ellen Stofan announced her resignation in November on a blog post, saying she is “departing for new adventures!” How very nicely put. Sh eeeeesh. The Christian Science Monitor verified it last Friday, explaining how Stofan leaves behind a legacy of trailblazing for female scientists, and a deep optimism for the exploration of Mars and the solar system’s most life-promising moons such as Saturn’s Titan and Enceladus. Falcon-9 rocket at Vandenberg AFB launch pad. 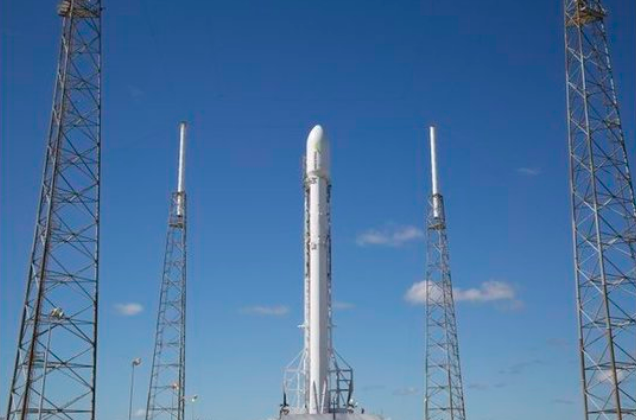 Space X should be back in launch mode no earlier than today following the announcement last week that the firm finally cracked the puzzle why its Falcon rocket exploded at Cape Canaveral last September during routine pre-flight preparations. 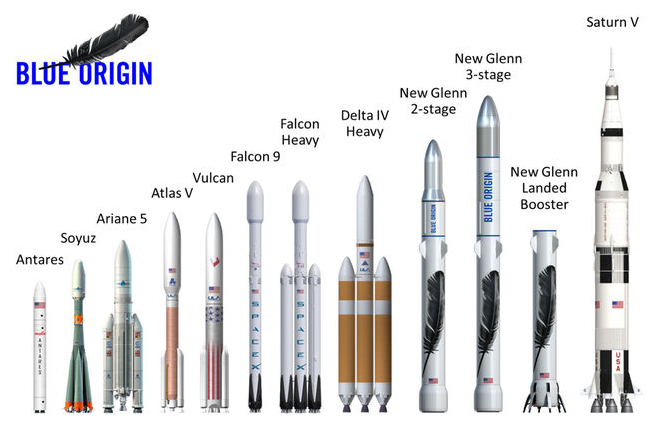 Apparently the disastrous glitch that engulfed both launch vehicle and $195 million payload in a massive fireball was caused by a failure in the containers used to store the second stage’s super-cooled liquid oxygen (sorry – no UFOs to blame this time around). 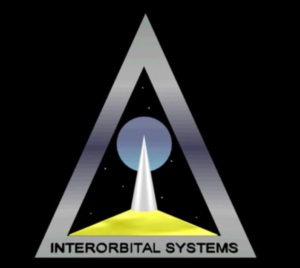 This week’s return-to-flight mission will deploy the first in a series of Iridium Communications’ NEXT comsats from Vandenberg AFB in California. 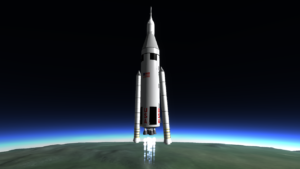 A recent Scientific American article makes the case for NASA to step away from the rocket-launching business and focus on an “Eisenhower-style” space highway in the sky complete with an out-of-this-world infrastructure needed to accommodate a space-age economy that many believe will mushroom to a $2.7 trillion industry in 30 years. 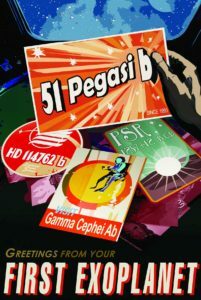 Author Howard Bloom argues that all launch duties should be handled by the SpaceXs and ULAs that can deliver payloads to low-Earth orbit and beyond at a fraction of the cost of NASA, while the space agency takes on the “heavy lifting” of providing the grand design where future travelers and working stiffs shuffle back and forth in a cosmic Route 66 between the Earth, Moon, and Mars. 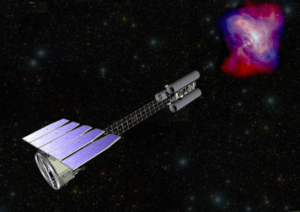 A unique space telescope will be launched in 2020 to specifically study black holes, pulsars and neutron stars. NASA’s Astrophysics Explorers Program says the IXPE mission (Imaging X-Ray Polarimetry Explorer) is actually three telescopes together in one craft that can measure the high energy X-ray radiation produced by the surrounding gasses of these exotic star remnants, which can get hotter than one million degrees. Crash course in star remnants, (simply put by writer Laurel Kornfeld in Space Flight Insider): “Neutron stars are stellar remnants of massive stars that have undergone the supernova explosions that end their lives. Pulsars are rotating neutron stars that emit jets of particles from their magnetic poles. Black holes can either be remnants of supernova explosions or the supermassive type found at the centers of most galaxies.” All are objects that are difficult to study because they cannot be imaged directly. 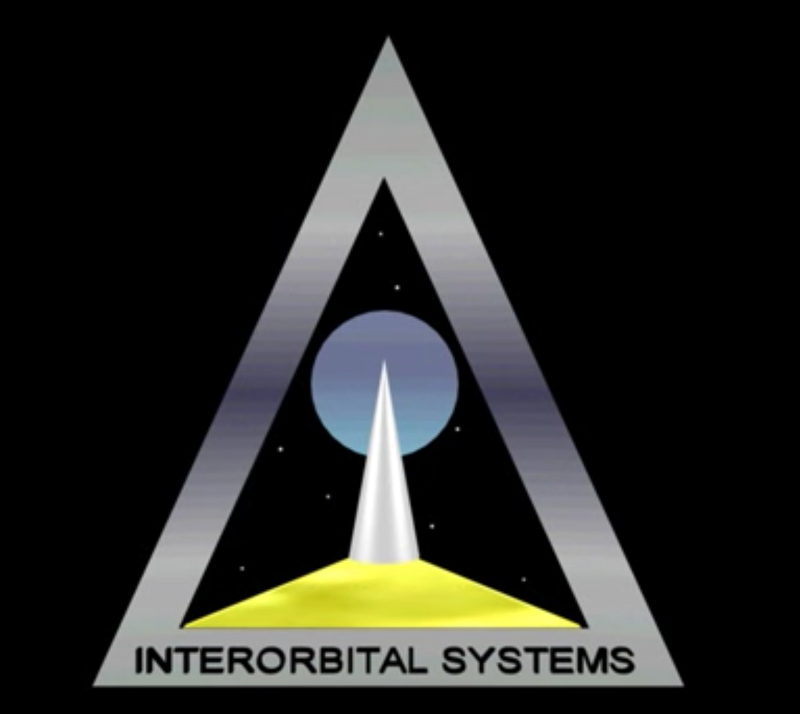 The Explorers Program says the low-cost IXPE mission is a mere $188 million and funding is already in place. 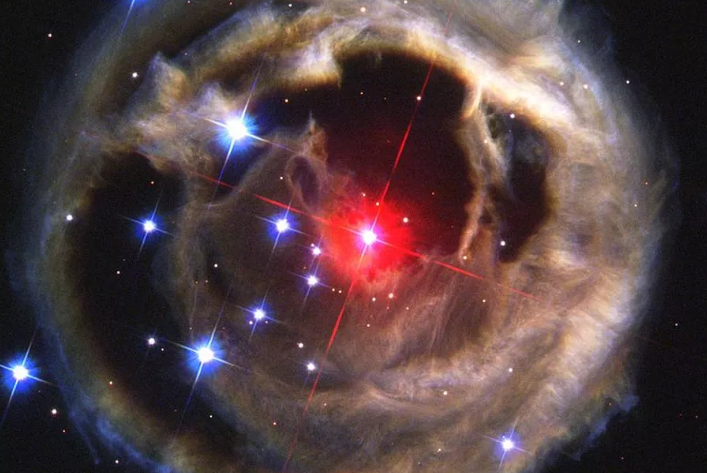 A group of independent scientists headed by famed black-holer Stephen Hawking and Russian physicist-turned-philanthropist-billionaire Yuri Milner are planning to send tiny spacecraft to Alpha Centauri. 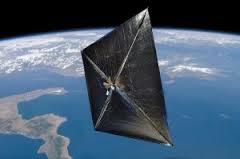 Called “Breakthrough Starshot,” the unmanned space mission proposes sending thousands of smarty-phone-sized spaceships to our nearest neighboring star system in the Milky Way. 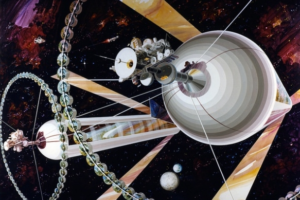 Alpha Centauri is 4.37 light-years away, but the brainiacal team behind the $100-million mission plan to get it there in a mere 20 years, with the craft plowing through space at one-fifth the speed of light. Right now the backers, along with NASA and the Korea Institute of Science and Technology, are working on another big hurdle of this long-term mission: radiation contamination, and they believe they can crack the problem with “self-healing” transistor chips in the probes. Said Hawking, “Earth is a wonderful place, but it might not last forever. Sooner or later we must look to the stars.” Too bad the geezer politicians coming into power can not understand this tenet. 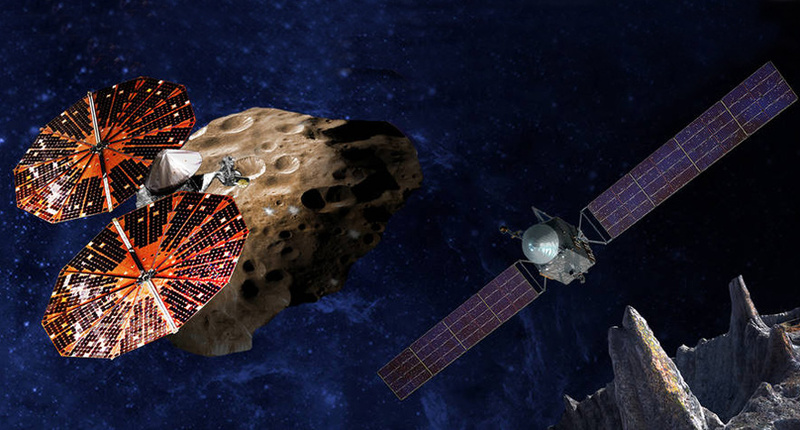 NASA’s newly announced Lucy (left) and Psyche missions will travel to never-studied asteroids to examine remnants of our solar system’s beginnings. NASA has announced its plans to launch two new asteroid missions in the next decade.The Lucy spacecraft will launch in 2021 to study “Trojan” asteroids – believed to be the “fossils,” or unaltered remnants, of the early solar system – that are in the same solar orbit as Jupiter. Lucy will travel to six Trojan asteroids between 2027 and 2033. After launching in 2023 and getting some gravity “slingshot”assists from Earth and Mars, the Psyche spacecraft will catch up with the main belt asteroid Psyche in 2030. 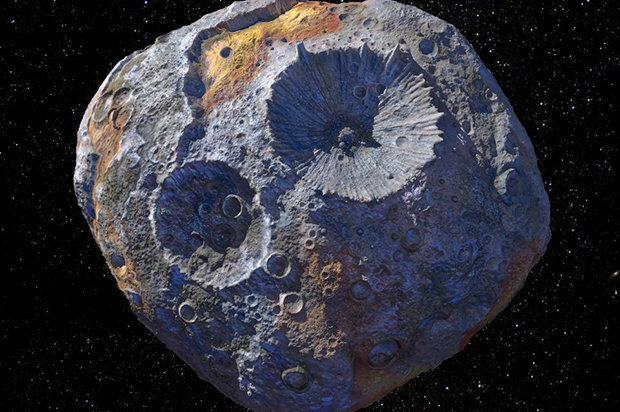 Psyche is an all-metal giant asteroid, believed to be the remnant of an early planet’s metallic core before that world was smashed to smithereens in the pinball bedlam of the early solar system. 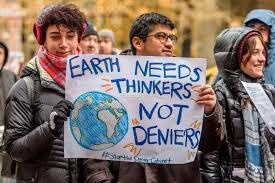 Let’s hope these intelligent endeavors to understand what could be incoming into Earth’s atmosphere someday doesn’t suffer the same Congressional Republican bad-mouthing as NASA’s Asteroid Redirect Mission has of late. In an astronomical first, a scientist speaking at the American Astronomical Society meeting in Texas last week predicted that in 2022 we should see the results of a cosmic-sized collision of two stars, resulting in what could be one of the brightest objects in the evening sky. 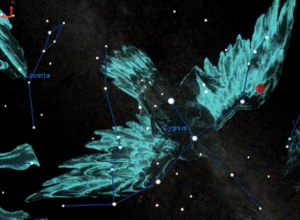 Astronomer Larry Molnar of Calvin College told the professional gathering that binary suns located some 1,800 light years away in the Cygnus constellation, have already kablooeyed, and by 2022 (plus or minus a year), the light from the fireball will finally reach Earth in the form of a “red nova,” some 10,000 times as bright as it is now. 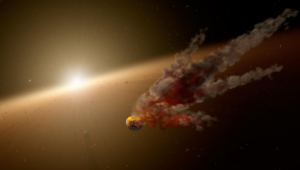 “If the prediction is correct, then for the first time in history, parents will be able to point to a dark spot in the sky and say, ‘Watch, kids, there’s a star hiding in there, but soon it’s going to light up,’” Matt Walhout, a dean at Calvin College, said in a press statement, according to Vox.